These demolition failures demonstrate why any kind of building demolition is a potentially life-threatening event. Building demolitions usually attract a great deal of attention. There is something spectacular and even awe-inspiring about seeing a large building brought down in a precise, controlled manner. 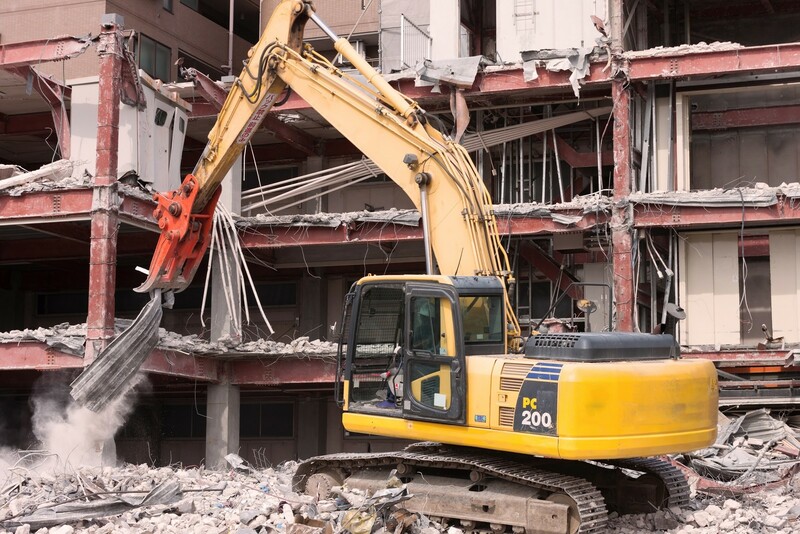 Demolition companies use incredible amounts of explosives to demolish a building in a safe way that doesn’t imperil surrounding structures or anyone on the ground. However, building demolitions don’t always go according to plan. In some cases, explosives fail to go off, or a building falls in an unexpected way. These demolition failures demonstrate why any kind of building demolition is a potentially life-threatening event. Opened in 1975, the Pontiac Silverdome was an engineering marvel when it was first built. By the 1990s, however, the aging structure had become a symbol of the Detroit area’s economic decline. Initially closed in 2006, it was later reopened, only to close again in 2013. A planned demolition in 2017 failed when only 10 percent of the explosives inside the building detonated. Demolition experts explained that faulty wiring was responsible for the failed demolition. In 2009, a failed demolition of a residential tower in Liuzhou, China split the building in two and left one half tilting precariously to the side. Instead of crumbling to the ground as intended, the other half of the building fell sideways and smacked into the ground on its side. Construction workers were forced to take apart the remaining half of the building with a crane. The Liuzhou building demolition accident is just one in a series of major building demolition failures that have occurred in China in recent years. Las Vegas is known for gambling, but it has also become synonymous with controlled demolitions. Because aging hotels are often more expensive to renovate than they are to simply rebuild, construction companies are called in to demolish old buildings to make way for new developments. In 2015, the 12-story Clarion hotel was demolished with 4,400 pounds of explosives. However, the hotel’s elevator shaft remained standing stubbornly in the rubble. Demolition crews had to return later and remove the elevator shaft with a wrecking ball. In 2013, a failed power plant demolition in California caused one man to suffer an amputation of his leg and four others to be injured. Another failed demolition at the same site in 2012 caused a fatality. In that accident, a worker was suspended 50 feet in the air and was cutting beams when one of the beams struck him, causing him to fall. In the 2013 accident, pieces of shrapnel flew from the collapsing structure, grazing spectators and striking one man in the leg. In large building demolitions, construction crews clear the area and make sure that no one is anywhere close to the building that is about to be imploded. Special demolition and explosives experts can spend weeks or even months determining the best way to bring down a building. These are highly controlled demolitions that cost millions of dollars and require extensive planning. But smaller demolitions operate differently. The average construction crew working on tearing down a small office building or removing a wall during a renovation doesn’t have the benefit of months of planning. In most cases, construction workers operate under strict deadlines. They don’t have the luxury of examining the proposed demolition from every angle. As a result, they may not always be prepared for a demolition that takes an unexpected turn. Just as the most carefully planned large-scale demolitions can go wrong, so too can the average run-of-the-mill building demolition.